WHAT ARE OUR 2018 GRADUATES DOING NOW? The Gemmological Association of Great Britain, or Gem-A, is the world’s longest established provider of gem and jewellery education. 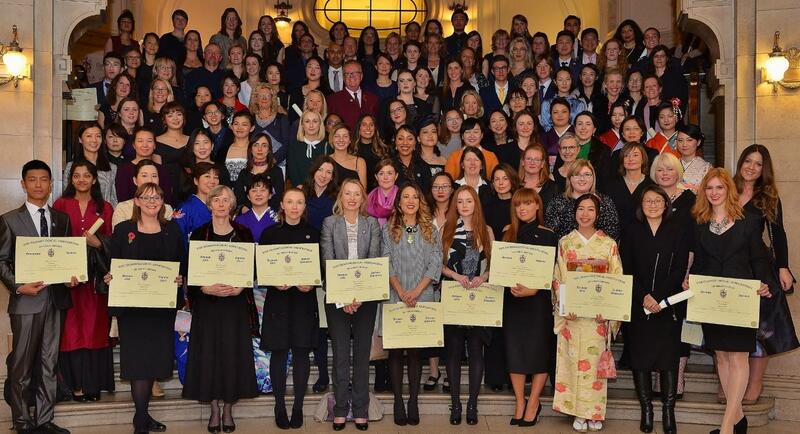 Our Gemmology Diploma evolved from the first gem course proposed for the UK jewellery trade in 1908, and our prestigious Gemmology and Diamonds Diplomas — taught in seven different languages and 26 countries around the world — are recognised throughout the world. You will learn about coloured gems and diamonds, their identification, value factors, and the many challenges of treatments and imitations — crucial knowledge for buyers, sellers and valuers of gems, as well as gem collectors who, attracted by the extraordinary beauty of gemstones, simply wish to pursue a new hobby. Continue your professional development by becoming a member of Gem-A. We offer individual and corporate membership, which will keep you up to date with the latest developments in gemmology. Membership also gives you the chance to connect with Gem-A’s global community of gem enthusiasts, graduates and professionals. Gem-A provides a number of different news and information services for both our members and the wider-industry. These include our regular industry publications Gems&Jewellery and The Journal of Gemmology, our monthly Gem-A related newsletter, our online blog and press release service, as well as our ever-growing social networks. Interested in hearing more from Gem-A?